On the evidence of the season thus far, Jürgen Klopp has no qualms over throwing Kevin Stewart into precarious situations. In the early stages of the 2016-17 campaign, the young Englishman has emerged from the bench to help the Reds see out wins over Arsenal and Chelsea, as well as a draw with Tottenham Hotspur - all away from home. Stewart admits it can be difficult to quickly adapt to the intensity of such high-profile games when being introduced in the latter stages. But he has no doubts over the positive implication of his many cameos this term from a personal perspective. "It’s always good for me and my confidence and progression, knowing that [the manager] trusts me in really important games," he told Liverpoolfc.com. "Most of the time when I come on, we’re usually leading. So I guess it’s to see the game out and bring the energy levels up a bit to make sure everyone is still following runners and tackling. "It is really difficult because you don’t know the intensity of the game or how it feels because you’ve not been involved. But it’s something you’ve got to do to help the team. "I just watch closely to make myself feel as much a part of it as possible so when I do come on I don’t feel too much of a stranger. It’s hard as it is anyway, but the little percentages can help." The Reds turn their attentions to the EFL Cup once more this evening, as Spurs arrive at Anfield aiming to contest a mouthwatering fourth-round tie. Klopp has shuffled his pack somewhat in previous cup outings this season, and Stewart will hope to get the nod in a starting role should that be the case again. The 23-year-old is certainly ready for such an eventuality, thanks to his professional approach during a period where starts have been hard to come by. "We make sure that we get the intensity we need in training, the ones that don’t play, and I’ve played in a few U23s games as well," he added. "It’s no problem staying ready for when I’m called upon. "I think that’s how I am anyway, whatever the situation is. I give my best in training, 100 per cent all the time and you can’t really go too wrong like that." The Reds' third-round victory over Derby County last month saw promising midfielder Ovie Ejaria handed his first-team debut as a second-half substitute. 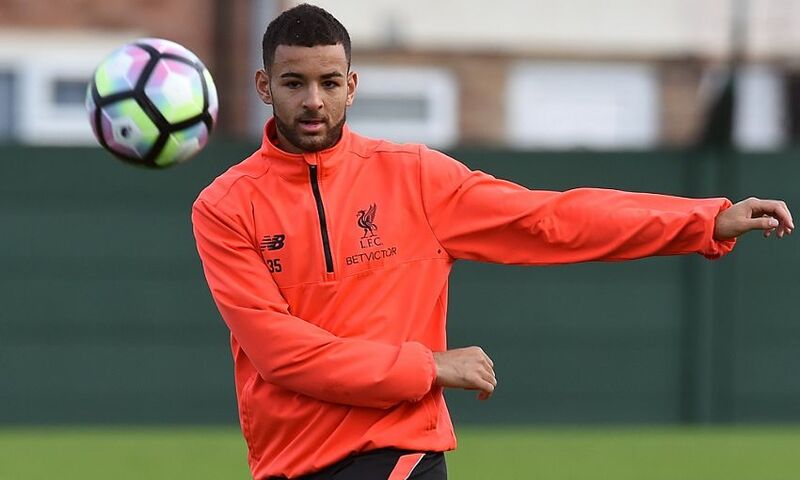 Stewart, who made his senior Anfield bow in the FA Cup after returning from a loan stint with Swindon last term, was delighted to see his fellow Academy prospect get a chance. And he says the club's young players are keen to push each other on to greater heights so that they can make the most of the opportunities afforded them by Klopp. "It’s really good to see. A year ago at the Academy, [Ejaria was] playing at U18 level; it’s just really inspiring to watch him. I’m really happy for him because I’ve seen all the steps of him developing," he continued. "It’s competitive and we’re all going after the same things but it works. You talk to each other about it in training and it’s a battle but it’s fun competitive. "Cup games or league games are a really good opportunity – at this level, any game is. "Everyone is watching all the time so whatever the competition it’s good for our development to be involved."